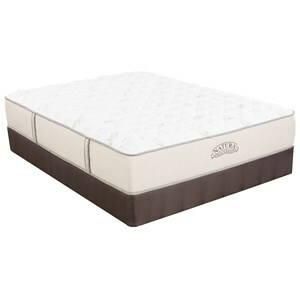 The highest grade of latex foam, natural and poured into the Talalay form, giving you better loft and feel. 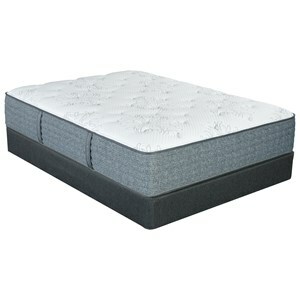 The longest lasting support foam available and its resilience keeps your bed feeling soft and supportive for many years. 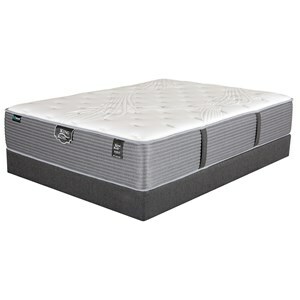 A combination of open cell memory foam and pressure relieving gel cells resulting in an optimal temperature sleeping surface while still conforming to every curve of your body. The Laura Ashley Venetia Euro Plush Full 14" Plush Euro Top Hybrid Mattress and Low Profile Nordic Wood Foundation by King Koil at Nassau Furniture and Mattress in the Long Island, Hempstead, Queens, Brooklyn, Bronx, Manhattan NY area. Product availability may vary. Contact us for the most current availability on this product. 12604LP-F Full Low Profile Nordic Wood Foundation 1 5"
19516-1030 Full 14" Plush Euro Top Mattress 1 14"
A great value is what you get when you purchase a mattress from the Laura Ashley Heritage Collection by King Koil. With Premium features such as Individually Wrapped Coils that adjust perfectly to your contours giving you a personalized support. 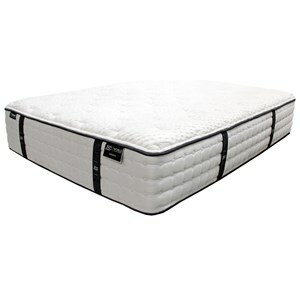 These coils are encased with dense foam, creating a solid seating edge and gives you full use of the mattress top. 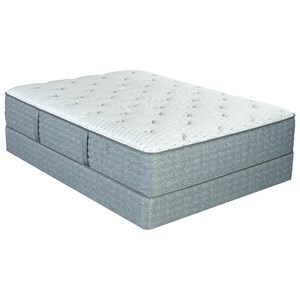 Layers of comfort foam including Natural Talalay Latex, gel foam and a Lumbar Support of Latex gives added support where needed most. For additional support and a cooling effect, a layer of iFusion™ Technology, a combination of Memory Foam and Gel foam is added. Let your body relax and enjoy a great nights rest on a Laura Ashley Mattress. The Laura Ashley Venetia Euro Plush collection is a great option if you are looking for Mattresses in the Long Island, Hempstead, Queens, Brooklyn, Bronx, Manhattan NY area. Browse other items in the Laura Ashley Venetia Euro Plush collection from Nassau Furniture and Mattress in the Long Island, Hempstead, Queens, Brooklyn, Bronx, Manhattan NY area.